Winter is coming. What should I wear as the weather gets colder? Jon S.
House Stark is right—winter is coming. While your seasonal needs may not include a fur cloak, it should contain functional cold weather staples to keep you warm while you look cool. Check out these idea for staying warm this winter. Keep those timeless outerwear pieces close at hand this winter—they’re staples you’ll reach for year after year. 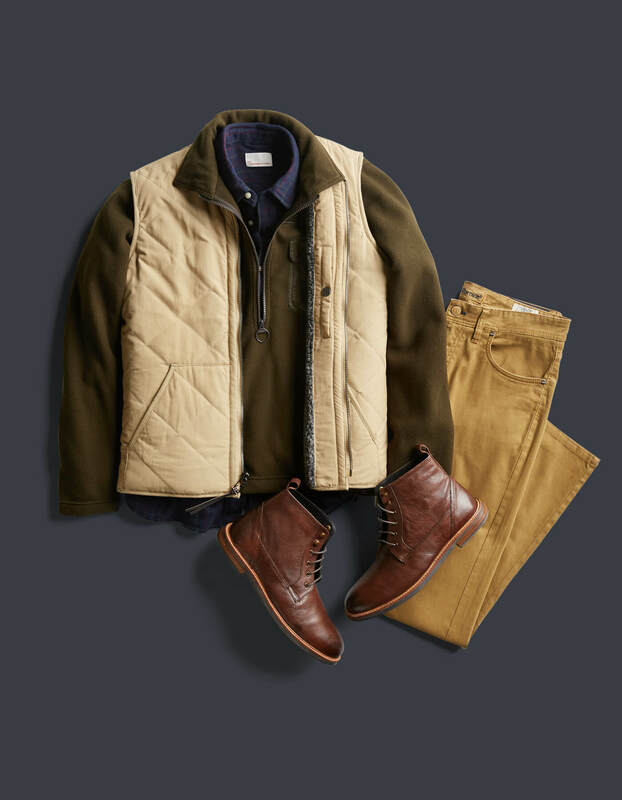 A quilted vest or puffer jacket keep the cold at bay and are easy to wear with layers. Wondering what to wear with a puffer jacket? 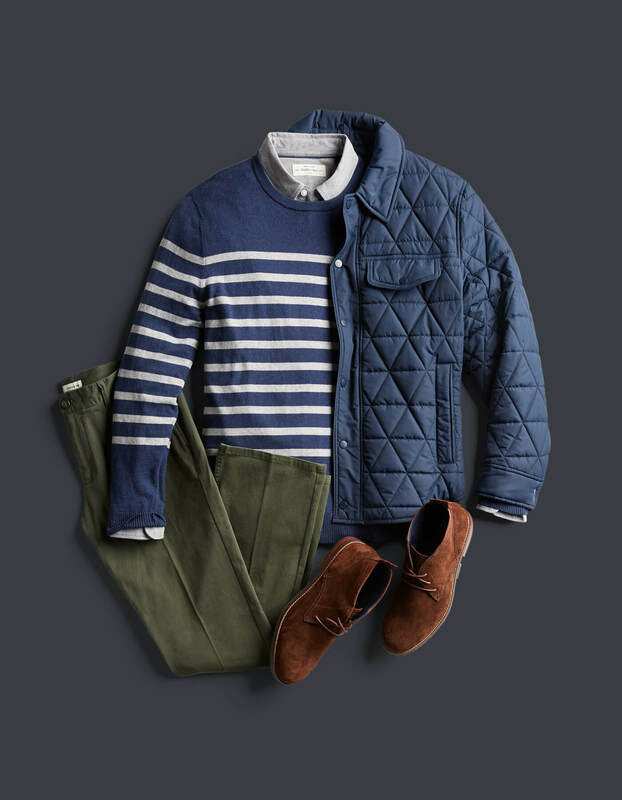 Choose seconds like a crewneck sweater layered over an all-season button-down. Don’t get caught with cold feet. Leather boots, sneakers and suede chukkas are the best winter shoes you can own. Sturdy leather boots with laces will keep your feet dry in the snow or sleet. Just be sure to give them a good waterproofing before you head out the door. Hasn’t anyone told you that 45% of your body heat is lost through your head? This terrifying statistic gives us the chills. Off to a weekend football game? Throw on a beanie to keep warm. Still not doing the trick? 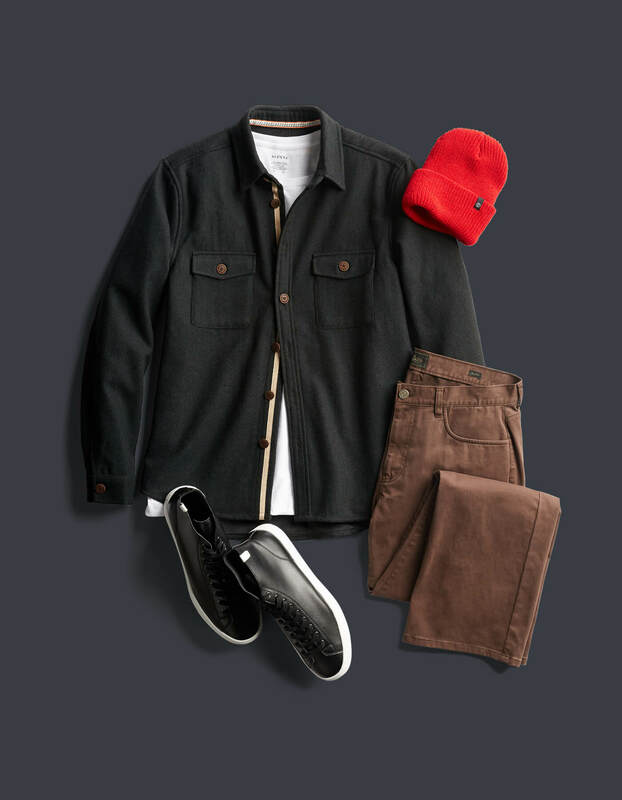 Layer up your look with a heavy-weight “shacket”—(that’s a shirt and jacket, swear). It has the appeal of your go-to button-ups with the attitude of an outer layer. Layering tip: Skip the T-shirts this season and wear long sleeve crewnecks to keep warm. Want to see some options to stay warm all season long? Schedule a Fix today!